We got the INCH Podcast group together to review the NCAA Regionals and debate which teams were most impressive in the first round and which teams had the best overall weekends. We talk about attendance issues and regional sites, and wrap things up with conversation about George Gwozdecky and Denver. No deterioration needed, and that is no fooling. Hey guys – went to check your podcast for the upcoming season and noticed the links don’t work anymore (files not available). 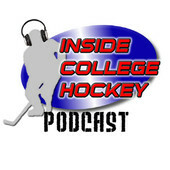 Is the INCH Podcast coming back for 2013-14?